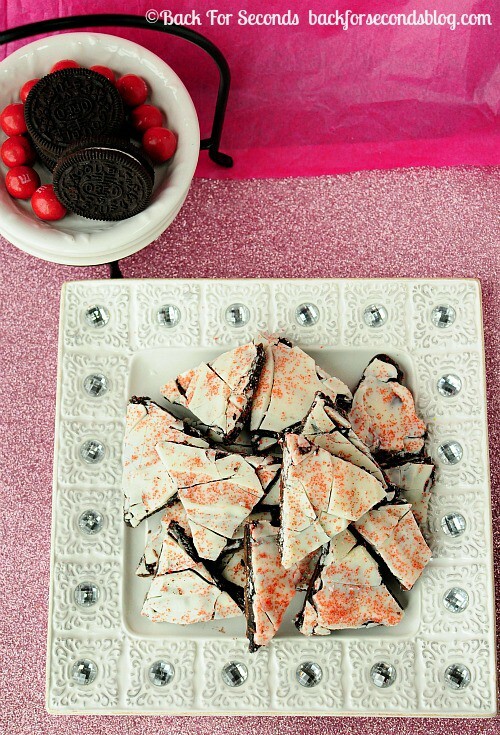 What could be better than raspberry Oreo truffles? It tastes the same but there is no pesky rolling involved and it takes all of 10 minutes to make! This is perfect for a last minute Valentine’s Day treat, or for anyone who doesn’t want to spend a lot of time rolling a million truffles of cutting out countless heart shaped cookies! 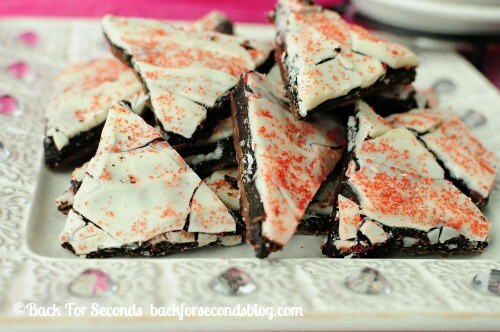 I used regular Oreos in this recipe and added raspberry extract to get the bright fruity flavor. So dreamy! Do you have any special Valentine’s Day plans? What are you making for your sweetie? 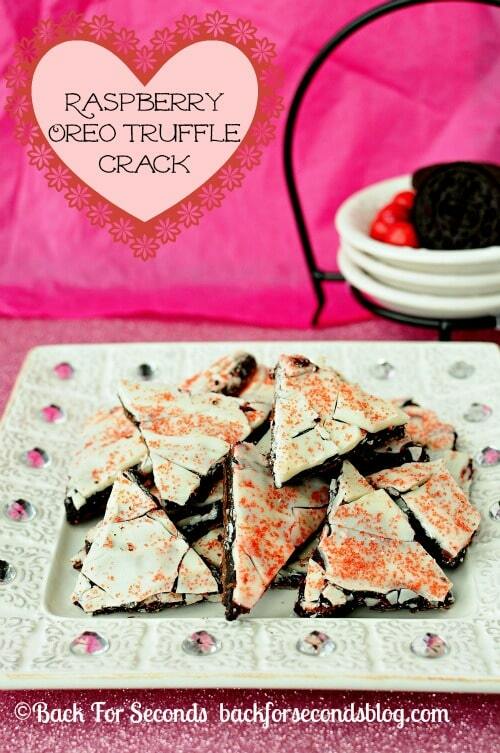 Let me know if you try this Raspberry Oreo Truffle Crack!